You pay your dental insurance premiums every month. You know you have it, but do you use it? Are you really getting the most out of it? There are several ways you can better take advantage of your dental insurance and get the care you need this coming year. Take this advice from your dentist in Park Slope. Every dental insurance company is unique and may cover services differently. Whether you’re shopping around for a dental insurance company or you use what your job provides, do your research to truly understand your coverage, including the yearly maximum that your insurance will pay and your deductible. Also, determine whether your insurance runs on a fiscal or a calendar year, because this will help you know when your coverage resets. Any insurance company would rather pay for simple preventive care than have to treat a big problem later, so most insurances cover two routine checkups and cleanings per year. Use those opportunities to talk to your dentist about any sensitivity, pain, or concerns you may have about your oral health. Before you start any expensive treatments, make sure you get a pre-treatment review, where your dentist contacts your dental insurance to confirm coverage. Then you can see how much a procedure will cost you out of pocket. 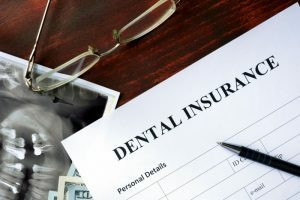 Find out if your dental insurance company has a least expensive alternative treatment approach, which means that they will cover only the least expensive, but still professionally acceptable, treatment option. This approach may affect whether or not certain treatment options are covered. Sometimes you can’t control the timing of your dental work, such as when you experience a dental emergency. Other times you can. If you’ve been thinking about or needing a certain dental procedure, and you have the flexibility to choose when you have it, consider the timing with your insurance. Are you close to the yearly maximum? Perhaps you could wait for treatment until the next fiscal or calendar year starts. Do you think fees or deductibles will increase next year? Perhaps you shouldn’t postpone getting a certain procedure and save some money. Have you had your dental checkup twice this year? You should definitely schedule that before the fiscal or calendar restarts. In any case, when determining the timing of treatment, discuss your situation with your dentist. They will advise you and give you a better idea of what you need and when you need it. Although there are many dental procedures that aren’t covered by insurance, you can still save money by using a flexible spending account (FSA) or health savings account (HSA). Money in these accounts comes from contributions that you make from your pre-tax dollars, which means that you get to use more money you earned to pay for qualifying health expenses. Just keep in mind that, unlike with HSAs, you need to use your contributed FSA money every year or you lose it. Dental insurance is meant to help you get the care you need to have good oral health. You pay for it, so you might as well use it to your advantage. If you follow these tips, you’ll get the most out of your dental insurance this coming year. 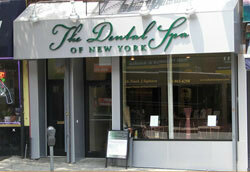 For over 30 years, Dr. Frank Sapienza has been practicing dentistry and created beautiful smiles in the Brooklyn area. At the Dental Spa of New York, Dr. Sapienza is a preferred provider for MetLife, Guardian, Aetna PPO, Cigna PPO, The Principal, Delta Dental, United Concordia, and other carriers, but he will file out-of-network claims as well. You may contact him by calling (718) 965-6298 or clicking here.